Save 67% for a limited time. 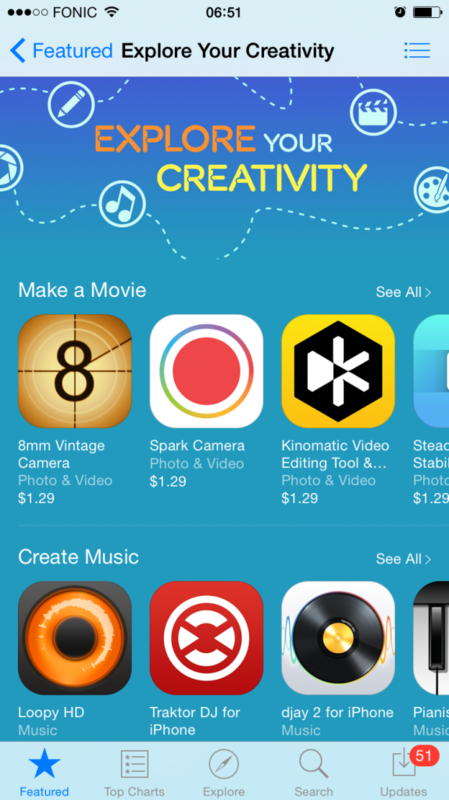 The App Store has curated an ‘Explore Your Creativity’ promotion this week, featuring a sale of Kinomatic and a group of other filmmaking apps like Shotlister, Super 8 and Spark. There’s also a range of sound and photo apps to check out including Loopy and Traktor DJ. It’s only on for a few days, so head over to www.appstore.com/ExploreYourCreativity to download these apps on sale!